What is the designated driver service? 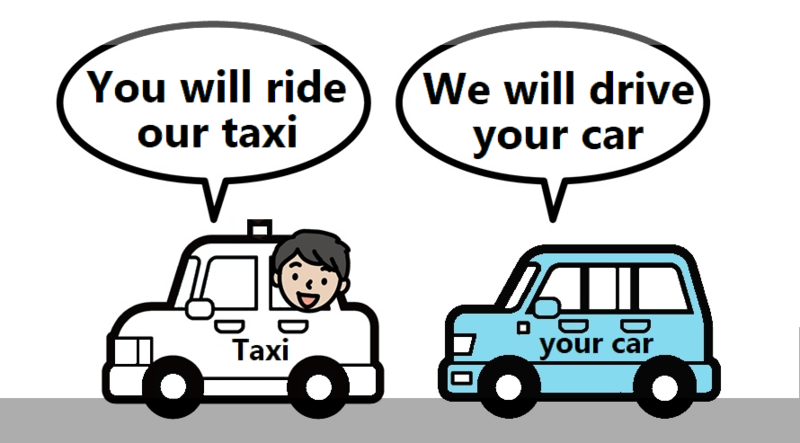 It is a service that drives a car instead of a client who can not drive due to drinking or some other reasons. We issue the discount tickets for DDS and a client can use the tickets depend on the taxi fare. * more than \1.700, a client can use 2 tickets(\1.000). * less than \1.700, a client can only use 1 ticket(\500). 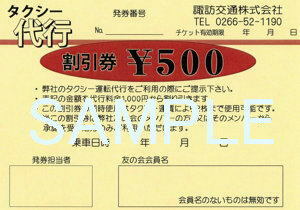 Many restaurants and drinking places in Suwa city are keeping our discount tickets.